Billions of dollars are stolen from businesses by their employees on an annual basis, and a whopping 75 percent of employees actually admit to having stolen from their employer at least once. As a business owner, the best defense you have against instances of employee theft is to install business security systems with video surveillance. It’s a proven fact that employees who know that they’re being monitored are far less likely to take their chances at stealing, so installing cameras could give you the edge you need and help keep your company theft-free. Admittedly, professionally installed camera systems are not an inexpensive investment to make. The loss prevention alone, however, means that the initial cost of the technology pays for itself quite quickly. It’s an amazing observation, but simply installing high-tech security cameras can make dishonest employees quit. It’s also a great incentive for keeping your other employees honest and deters them from engaging in criminal behavior because of the risk of getting caught. The more cameras present, the lower the chances are that theft will be possible. Having recorded proof of employee behavior is also effective in being able to monitor the safety in the workplace. In the event that someone makes a claim about being injured at work, you have the means to discredit any false claims being presented. This proof will not only save you the cost of litigation but also reduce liability costs like workers compensation expenses. Cash registers and other areas where money is handled should be monitored by cameras at all times. In retail settings, cameras should be mounted above registers and positioned to record any activity at the registers. By doing so, you’ll be able to catch employee theft at the same time as you discourage crime by your customers. Any robberies that do occur will be recorded, which will be extremely useful in finding and convicting the criminal and recovering the stolen funds. Many businesses have storage areas in which they keep valuable merchandise, and those areas are extremely tempting to employees with theft on their mind. Unless you have cameras monitoring those spaces, stealing a few items at a time can become an easy habit for your employees to adopt, and that kind of behavior could eventually lead to the theft of money. If you have it in your budget to do so, you might also want to consider installing Electronic Access Control Systems in addition to video surveillance cameras in those storage areas to record the presence of anyone who has accessed them during the day. This effectively doubles-up your prevention of employee theft. Whether you know it or not, payroll fraud occurs in nearly a third of all businesses. Small businesses are at the greatest risk, as instances of payroll fraud are double those occurring in larger businesses, and the period over which the fraud lasts is an average of three years. While it might not actually be preventable, you still have the means to catch any employees attempting to commit payroll fraud. Installing a video surveillance system to monitor your employees clocking in or out keeps a visual record of their true time on the clock, which gives you proof if you begin to suspect that someone is being dishonest about their hours. Arming your business with a security system using high tech cameras may not be an expense you thought would be necessary, but doing so will help prevent employee theft and save you immensely in the long run. 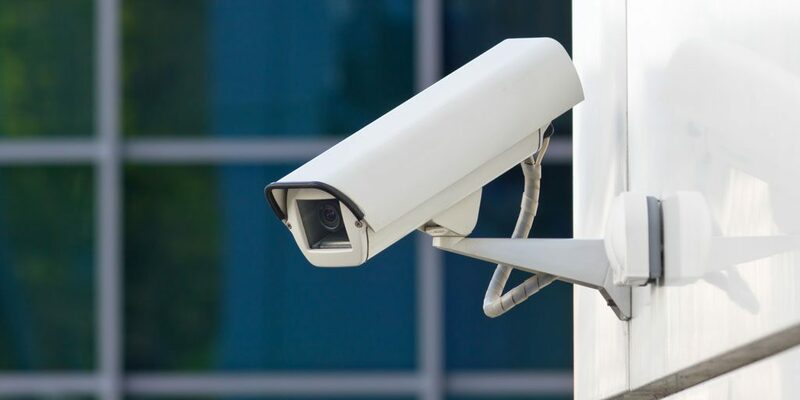 At Ivanco, Inc., we design commercial security systems to meet the individual needs of our clients, and we encourage business owners to consider the value of increasing their security to safeguard the future of their company. Call the team of security systems experts at Ivanco, Inc. to learn more about how our customized security solutions can benefit your company today!